Sinus/Seasonal: Sinus headaches are very common during seasonal changes. It seems that sinus headaches in particular have been more frequent in 2012 due to climate change and weather patterns. Some home treatments include supplementing with Vit C, Vit A, Bromelain (extract of pineapple stem) and Cod Liver Oil. 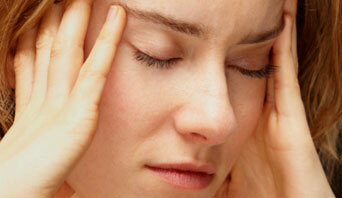 Receiving chiropractic treatment for your sinus headache is almost always recommended. Your chiropractor will stimulate access points along your sinus pathways, helping break loose congestion and relieve sinus pressure. Diet & Malnutrition: One of the most common causes of frequent migraines is diet related. A partial list of triggers include: wheat, oranges, eggs, coffee, tea, chocolate, wine and foods with lots of sugar. Anyone with daily or weekly headaches should strongly consider that they may have a food allergy. Keeping a log of what you’re eating and when you have headaches is the first step. Also, many studies have suggested that the artificial sweetener – aspartame – found in diet drinks and diet foods, is a major trigger for migraines. We would all be wise to limit fluid intake to water and organic juices, but this is especially true for those who suffer from migraines. While it’s true that what we put into our mouths might be causing our headache, it’s also true that what we fail to eat my do just the same. Many studies have shown that partial malnutrition (aka – the Average American Diet) may also cause reoccurring headaches. Supplementing with essential nutrients & vitamins such as Magnesium, Vit D3, Riboflavin, Coenzyme Q10 or Omega 3s found in fish oils have been shown to eliminate or reduce migraines. Posture: spending a long time with the head tilted down, or with the head jutted forward - as is common for desk jobs and repetitive work stations - can cause headaches. These headaches typically start at the base of your skull and travel up the back of your head. Changing positions every few minutes and taking time to move and stretch will help. Make sure you train yourself to hold your head upright – the ears should be in line with the shoulders. If this fails to resolve the issue, you should consider spinal manipulation (also called chiropractic adjustments). An adjustment to the upper cervical spine will help relax your tight muscles, restore range of motion, and help relieve your headache. There are many more potential causes for reoccurring headaches. I recommend finding a good health care provider who will work with you in identifying the root cause. With proper investigation and some trial and error, you stand a good chance of laying your headaches to rest. Dr. Yoder - Thank you for spreading the word and increasing awareness for more the cause of common aches and pains and helping the world of natural health! Hi Allicia - you're welcome & thanks for reading. Everyone within this work is actually super excellent. They feel just like a family! I've had back and hip flexor issues for some time and with the assistance of Dr. Tyler Meier and increasing procedures he provided, I'm ready to run as well as carry on with my life. We recommend this area in order to anybody trying to find good care as well as superb individuals Wellness Choice ! Dr. Wayne T. Flood and the staff are perfect! They're very pleasant and expert. Doctor Bill requires great care within evaluating your circumstances along with thorough review of your x-rays for correct management of the body. Pro Health Chiropractic Doctor explains thoroughly exactly what the problem is and rapidly identifies every area that requires adjustment. We recommend their chiropractic care solutions as well as their masseuse.